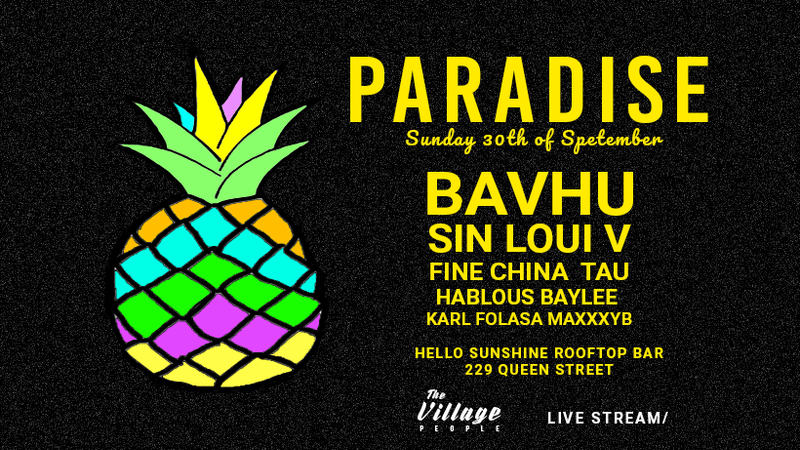 We are happy to announce in collaboration with The Village People we will be bringing Paradise back for another huge Sunday session!! Come down and enjoy another 12 hours of pure energy and listen to some of the finest House, Tech House DJ's to grace our little rooftop bar. If you have been before then you know this is a very intimate space so get in early so you don't get left outside. Let's see if we can get another noise complaint?!?! Beer Bong games from 12pm - 6pm.